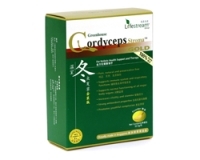 Vitamin E provides protection from the damaging effects of free radicals and helps to maintain healthy circulation. Vitamin E can be lost from foods during cooking, processing or storage. 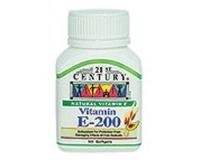 21st Century's Natural Vitamin E is a useful supplement of antioxidants for your body. Take 1 softgel daily with any meal or as prescribed. Not suitable for children under 12 years. Store in refrigerator after opening. No Sugar, salt, yeast, preservatives, artificial flavours or colours.. This product sold by Kool Depot comes from 21st Century (Singapore).